Caption slip reads: "Photographer: Paegel. Date: 1954-06-25. Reporter: Devlin. Assignment: Haymes hearing. 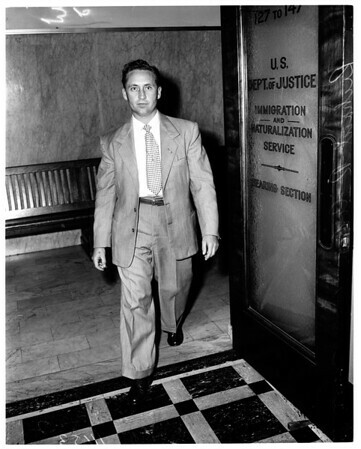 3/4/41: Richard R. Cody, Atty. ".